If the Seychelles elicits images of swaying palm trees, sugar sand white beaches and turquoise water, you’re absolutely right. Having already checked the Maldives off our bucket list, we set our sights on the Seychelles for another dose of fiery sunsets and the most gorgeous, crystal clear water you’ve ever seen. But grouping these two Indian Ocean island nations together in similarity, like so many travelers do, couldn’t have been more off base. The Seychelles has far more to offer than relaxing on a beach. In fact, our recent visit has us singing the praises of these things to do in Mahé that will make you definitely want to skip the beach…for at least part of your Seychelles holiday. We have never, ever seen so many fish and such incredibly clear water. 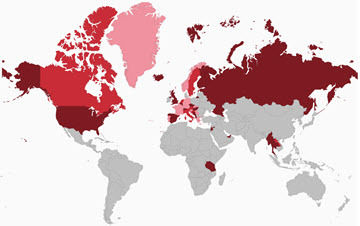 Though we’ve only been diving for a year now, we’ve done our fair share of snorkeling around the world. Massive schools of bengal snapper would surround us. Moray eels popped their heads out of underwater caves between the granite rocks. Batfish that felt like they were at least half the size of me gently glided by. There was so much to look at under the water, we literally didn’t know where to look first. And though our dive boat was diving the very same site in three groups, we all came back from each dive with reports of seeing different types of sea life. It was truly spectacular diving and all just within a 15 minute boat ride from Beau Vallon, one of the most popular stretches of beach on Mahé. Our two tank dive trip was to the dive sites known as Dragon’s Teeth and Brissare Rocks. They’re separated by just 50 meters, so they’re often dived together as a two tank dive just as we did with Big Blue Divers. 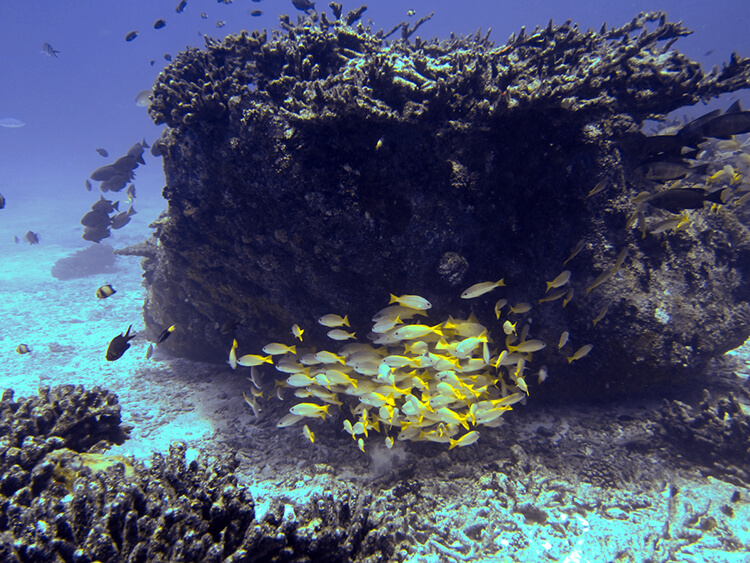 Brissare Rocks, in particular, is known as one of the top five dive sites in Mahé. Big Blue Divers is a 5-star PADI dive shop that is family run and located right on Beau Vallon Bay. We highly recommend the two tank dive, which is not offered every day. Inquire via their request form online. 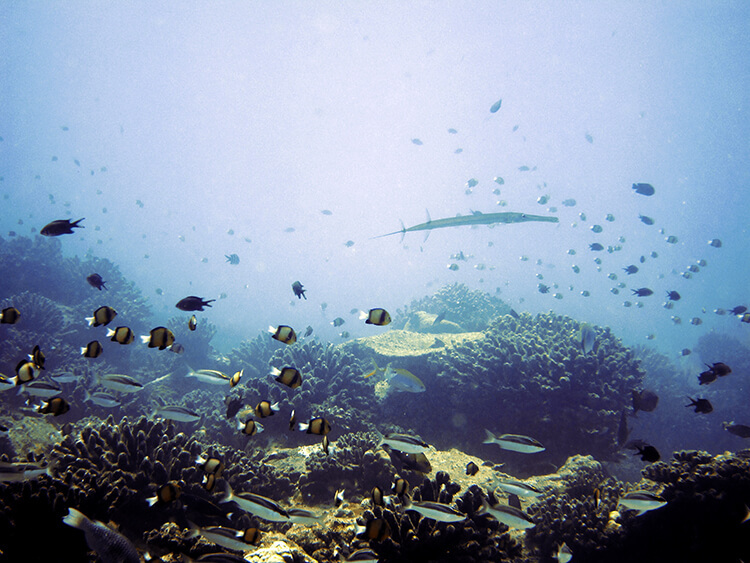 Diving is best in October, November and March – May. 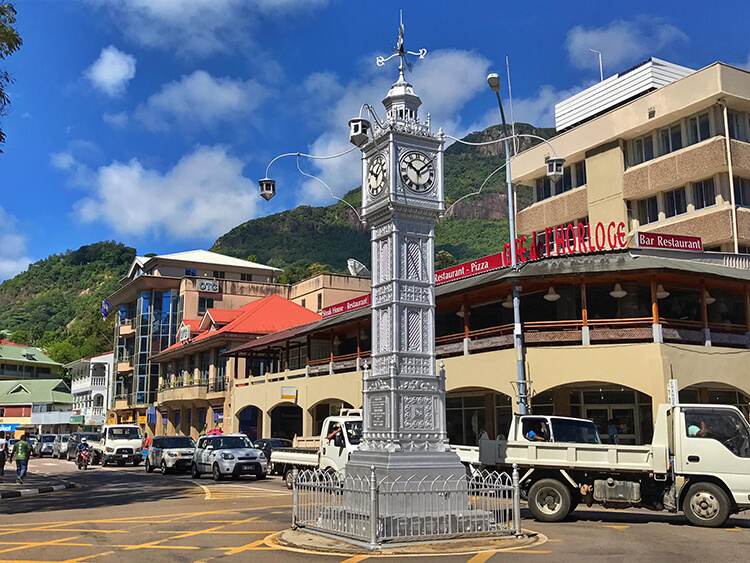 Victoria is the Seychelles main economic hub, the capital and one of the world’s smallest capital cities. It’s also home to about a third of the country’s total population, so as you might imagine, it’s always bustling with activity. You can really walk the center of Victoria in about an hour, but there’s quite a few sights to see. Not to be missed is the Clock Tower, nicknamed Little Ben because it is a replica of the Elizabeth Tower that houses Big Ben in London. 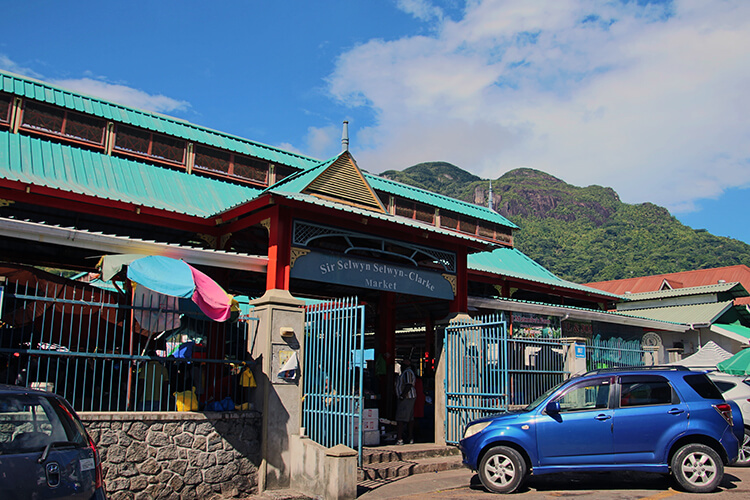 It was built in 1903 to commemorate the Seychelles independence from Mauritius. You’ll find fresh fruit, veggies, fish, spices and tea at the Sir Selwyn Clark Market, which is open daily Monday through Saturday. But it’s Saturdays, when the market becomes the gathering places for many locals, that you truly feel the vibe of the market place as locals yell out their fish orders and the heads are chopped off the freshest catch. Walking down to the end of the Market Street, you’ll find the very colorful Arul Mihu Navasakthi Vinayagar Temple. 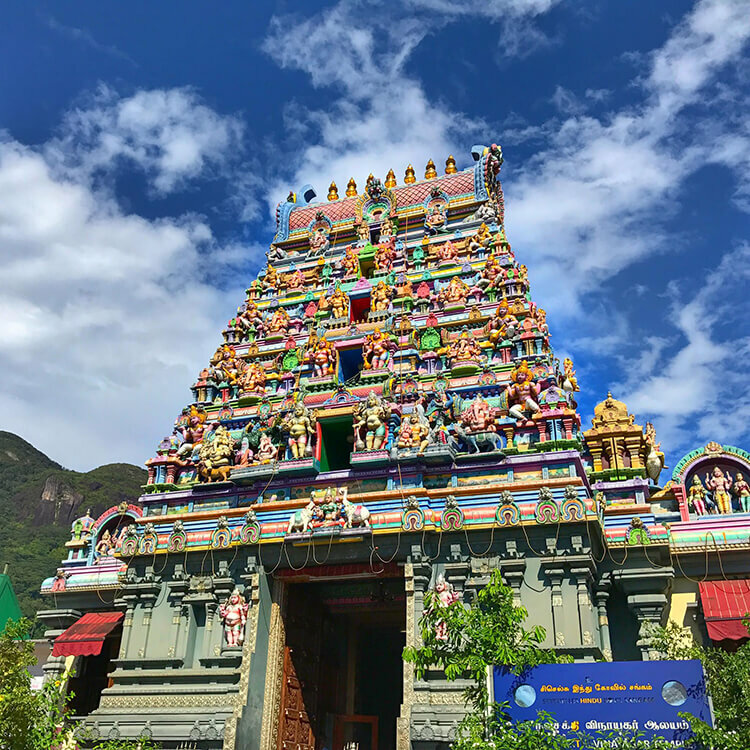 It’s the first and only Hindu temple in the Seychelles, since the country is more than 90% Roman Catholic. It’s a working temple, though it is also open to the public. Stop by to have a look around at the temple, named after the Hindu god of safety and prosperity. Wandering to the east of Market Street, the Immaculate Conception Cathedral is hard to miss. 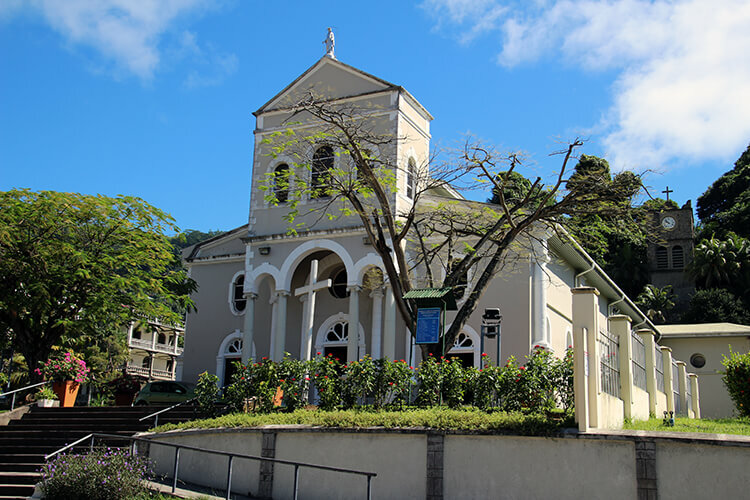 It’s the largest of several Catholic churches in Victoria and the sheer size demonstrates the importance of Roman Catholicism in the Seychelles. It’s also quite photogenic with it’s beautiful bell tower and lush surroundings. Another attraction that we just didn’t have time for is the Seychelles National Botanical Gardens. 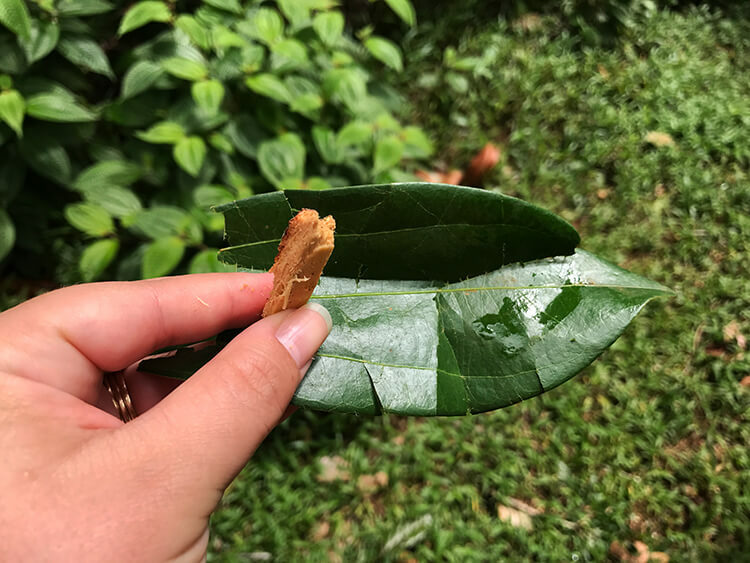 It takes about one hour to tour through the gardens, where you’ll find over 200 species of spices and plants, many of which can only be found in the botanical gardens. It’s also popular because it’s a place in Mahé to see and interact with a population of the giant Aldabra tortoises, which we spent several days with on Fregate Island Private. There’s actually quite a lot of hiking trails on Mahé, though it can be quite hot with the steep climbs upward if you’re not used to the climate. 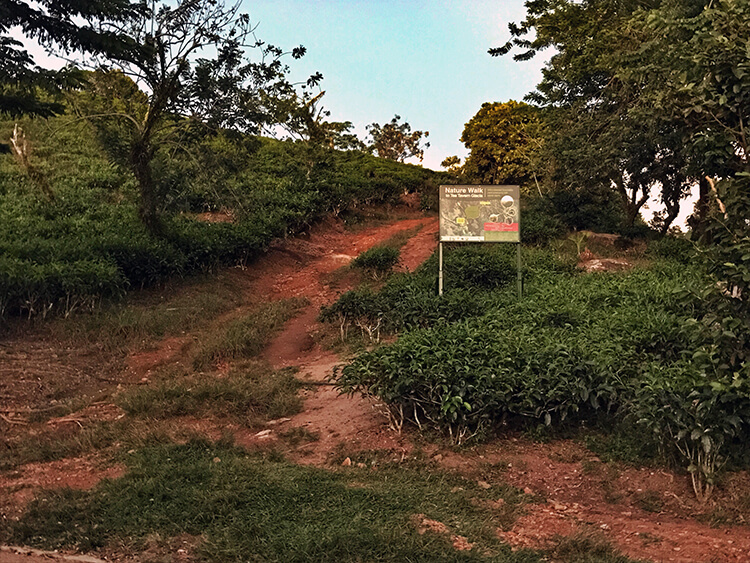 One nice, easy trail takes you through the old tea plantations where you’re surrounded by tea and lemongrass. You can follow the nature trail to the Tea Tavern, which has newly been renovated after closing back in 2000. 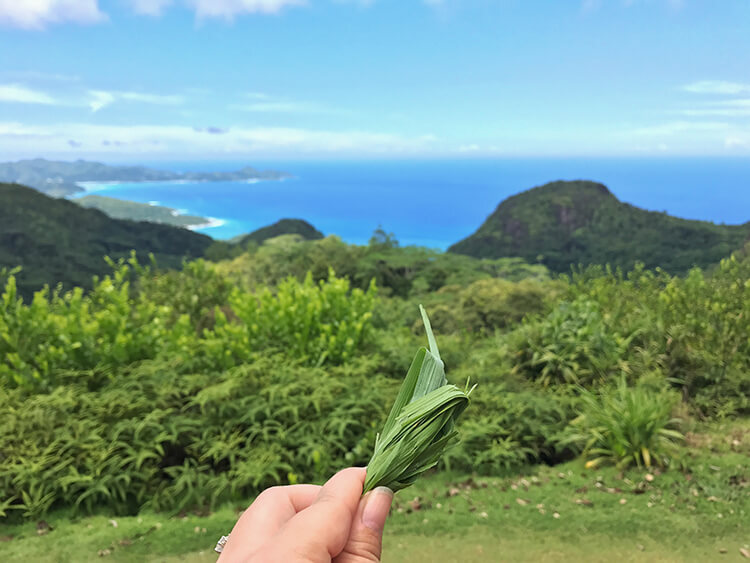 There are gorgeous views looking out over Mahé and you can buy some of the local vanilla, cinnamon or lemongrass tea made from handpicked tea leaves from the small shop. The Tea Tavern Café is closed on Sundays and public holidays. The most famous vantage point to take in breathtaking views of Mahé, Mission Lodge is also the most culturally and historically significant site in the Seychelles. 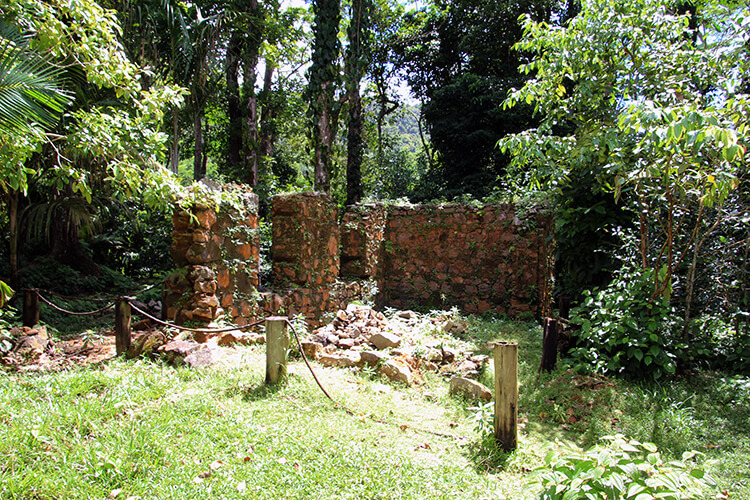 Slavery was abolished in the Seychelles in 1835, but it wasn’t until nearly 40 years later that the last of the slaves were liberated and Venn’s Town was established by the Church Missionary Society. It was 1876 and with the help of funds from abroad, a missionary school was opened to teach the children of liberated slaves. Halfway up the highest mountain on Mahé, it was located far from the main town, Victoria, in an area rich in biodiversity. Unfortunately, the school was shut down in 1885 due to a lack of funds. 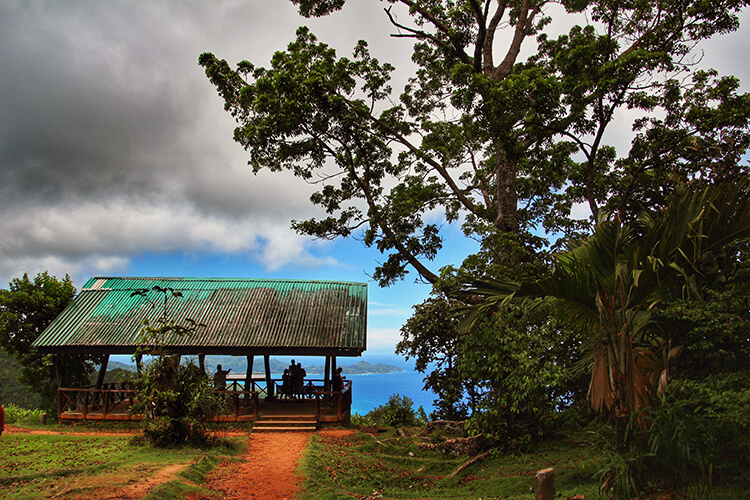 Today just some ruins remain, but H.R.M Queen Elizabeth II inaugurated the viewing lodge and enjoyed a cup of tea with one of the most spectacular views on Mahé in 1972. Mission Lodge and Venn’s Town is on the tentative list to become a UNESCO World Heritage Site. After the Seychelles gained their independence, the area was designated as the Morne Seychellois National Park and includes Mission Lodge. You can find many endemic species of plants, wildlife like the world’s smallest frogs (the Sooglosus species) and bird life that are found no where else on Earth. Cinnamon, we were surprised to learn, is so plentiful it’s actually an invasive species that has to be controlled. You’ll also find lemongrass and likely spot the orange-headed fruit bats hanging from the trees. If you’re incredibly lucky – we weren’t – you might also spot the critically endangered Seychelles scoops owl, one of the rarest birds on Earth. One of the most beautiful ways to take in the beauty of Mahé is with a birds eye view on a scenic helicopter tour. From a helicopter, you can see how all the shades of blue blend into a rainbow of blue hues, the reefs and the lush forest. We experienced our first helicopter flight in the Seychelles and though we’ve flown in a sea plane previously, this was so incredibly smooth. The pilot points out various sights and you can communicate with each other through the headsets. 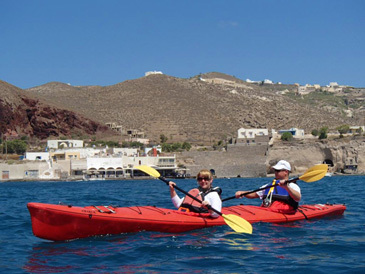 There’s honestly not a more stylish or comfortable way for an island or multi-island tour. We certainly felt like rock stars while being awed by the beauty of the Seychelles from the air. 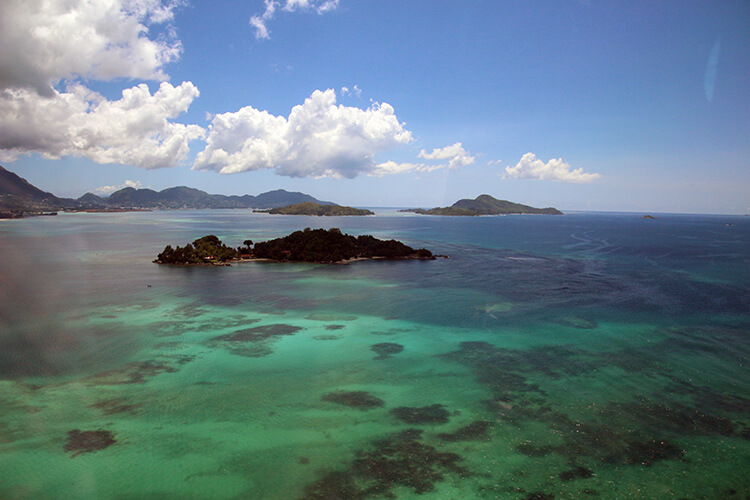 ZilAir offers scenic helicopter flights ranging from 15 – 75 minute tours of Mahé, Praslin and La Digue. Though not right on a beach, Eden Bleu Hotel on Eden Island makes for an excellent base for exploring Mahé. It’s just a couple minute drive from the capital, Victoria. Eden Island is also an incredibly popular place for the locals to hang out with shops, nightlife and good restaurants all within walking distance of the hotel. There’s also an onsite restaurant at the hotel. The hotel offers affordable 4-star luxury with comfortable rooms, all with balconies and some with sea views. There’s also a complimentary beach shuttle multiple times daily to Beau Vallon or Anse Royale, two of Mahé’s most popular beaches with a variety of tourist services along them. You can definitely stay at Eden Bleu and get away with not renting a car, though we highly recommend renting a car to properly explore Mahé. For affordable 4-star luxury set on a beach, AVANI Seychelles Barbarons Resort & Spa fits the bill. It’s situated on a private stretch of beach just next door to Grand Anse. The resort has two on-site restaurants, one offering a buffet of Creole cuisine and the other a Thai restaurant. There’s not much else close to AVANI, so a rental car is really necessary if you plan to explore Mahé. It’s also located on the other side of the mountain, so if you want to go in to Victoria or Eden Island for nightlife, the road is very dark, narrow and winding. </ iframe>﻿Our trip was provided by Seychelles Tourism Board in order to bring you this story. However, Luxe Adventure Traveler maintains full editorial control of the content published on this site. As always, all thoughts, opinions, and enthusiasm for travel are entirely our own. This article contains affiliate links. When you book on Booking.com through our affiliate site, we earn a small commission at no additional cost to you. It just helps us keep things running here at Luxe Adventure Traveler! What an awesome vacation location. Amazing photos. You’d really like the Seychelles, especially with all the rare birds and species! Really lovely to see the other side of Mahe, and it makes me keener to visit – I’m not a big beach lover, I get bored without there being more to see and do, so your post makes me reconsider Mahe as a possible place for us to go. There’s a lot to do. Even on Mahé, we didn’t have time to do it all. Some of the things I’d like to have time for if we visit again is horseback riding, a cooking class and to tour the rum distillery. I’d definitely like to go back and visit other islands like Praslin, where you can visit the Valle de Mai to see the legendary Coco de Mer and La Digue where National Geographic named one of the beaches the most beautiful in the world. I really felt like we could have easily spent at least another week or two exploring! The diving was so amazing! Even if you don’t dive, there are places to go snorkeling and I think you’d see quite a lot, especially since the water visibility is so good. No wonder Seychelles is being compared to Maldives. Both are equally beautiful in their own ways. Wow, I\’ll give you credit for broadening my view of the Seychelles, yes, my previously limited idea was a carbon copy of the Maldives and perhaps not much more than the beach. I didn\’t realize there was so much nature beyond (and below!) the shoreline, hiking trails, history, wildlife, and heritage. I would love to visit Fregate Island Private for the tortoises, reminds me of those we saw in the Galapagos Islands even though a different species. And the downtown of Mahe looks quite charming and diverse with the colorful Arul Mihu Navasakthi Vinayagar and the Immaculate Conception Cathedral. Thanks for the post! I haven’t been to the Galapagos and don’t know much beyond they have giant tortoises and other awesome wildlife roaming around. But I think that Seychelles probably has a closer comparison to Galapagos than it actually does to Maldives. Really, their only similarities are that both Seychelles and Maldives are both in the Indian Ocean. I agree with you completely. There is so much more to do than just the beach! My hubby and I did scuba diving in Seychelles for the first time and the water was soooo clear and we so much marine life! 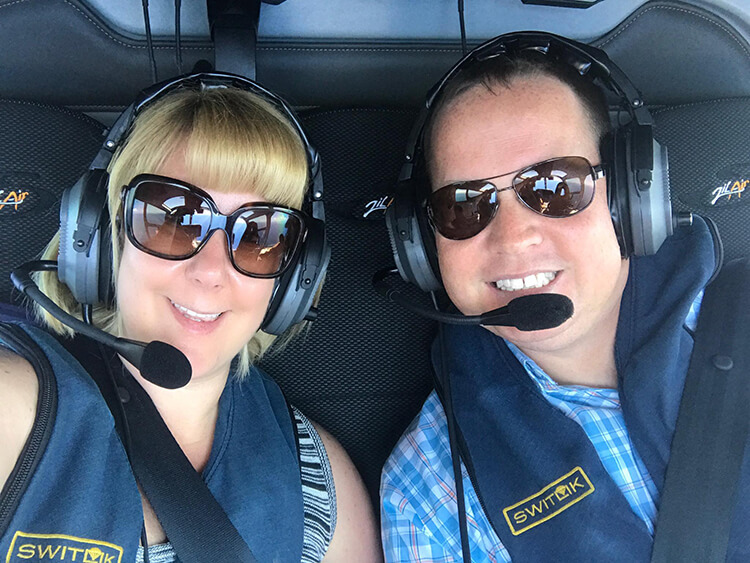 But your helicopter tour seems hard to beat! I wish we would had done that too! It’s such a great place for diving! Do you remember where you dove? We did four dives in total and wish we could have done even more diving. There is just so much to look at! Seychelles does look beautiful. I’m not a beach person so I’d spend a lot of time doing the other things on your list. I’d love to visit Victoria, the botanical gardens, tea plantations and Mission Lodge. I’ve heard that Seychelles is quite expensive though? It actually doesn’t have to be expensive. There are a lot of self catering rentals these days that are very affordable. You can definitely find good accommodation in these self catering places for less than $100 per night. Car rentals are affordable. The diving was pretty inexpensive. On Mahé it was $50 per dive with equipment rental. Beaches are free, as is visiting Mission Lodge and hiking. Entrance to the botanical garden is about $8 and goes toward conservation. 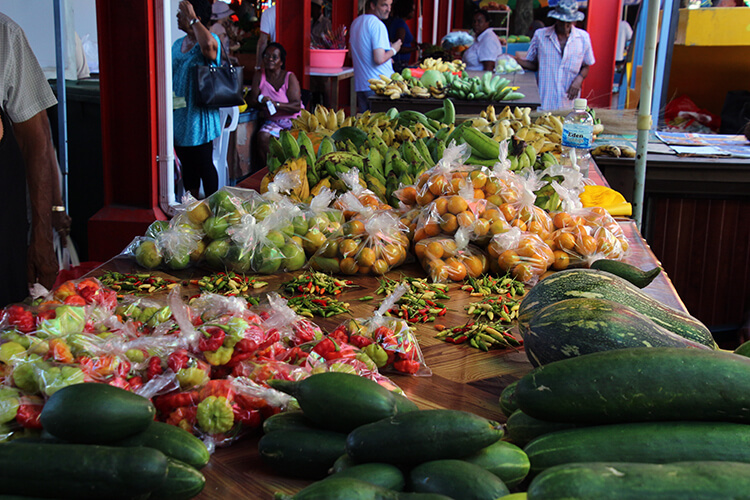 The produce at the market is all grown locally and very affordable. 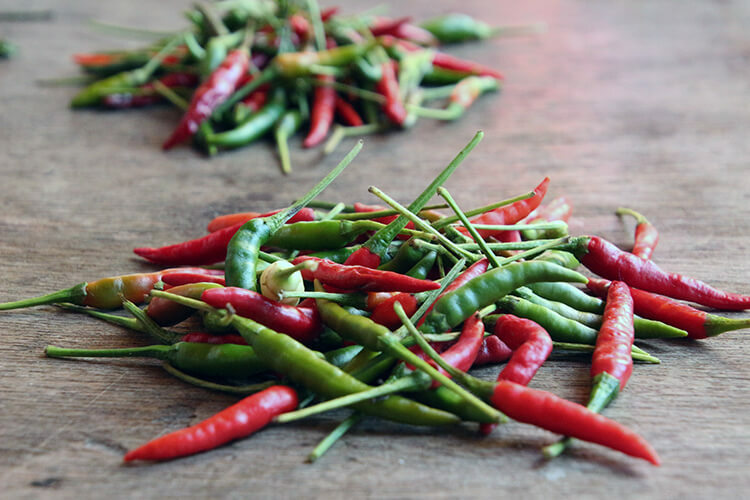 Going out to eat is on the more expensive side, but with a self catering house or apartment, you could cook fresh fish you get at the market just like the locals. 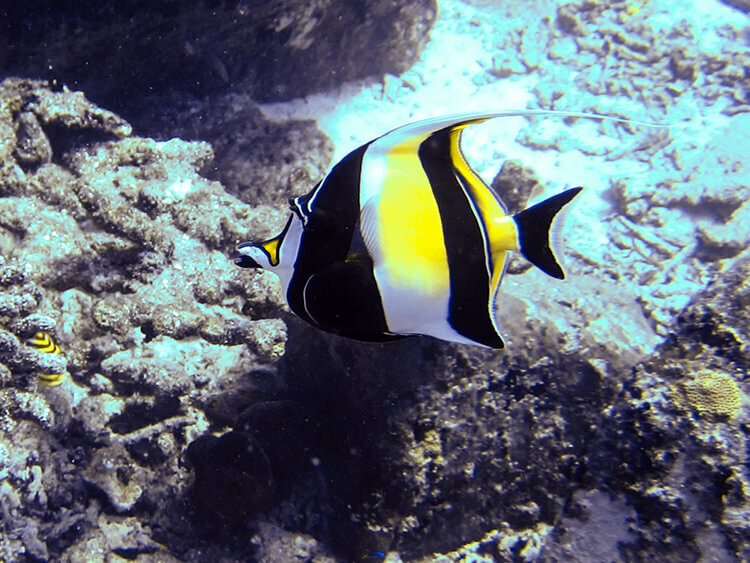 There are also great places to snorkel if you can do that to get a look at the sea life. I’d gladly skip the beach there. The Seychelles are stunning not only because of the beaches but also due to all of these activities. Diving to see all the underwater wildlife would be my number one pick for sure. Would also love to see those amazing tortoises! The tortoises are so cool! You can stay on Fregate Island Private, which has the third largest population of giant tortoises in the world. 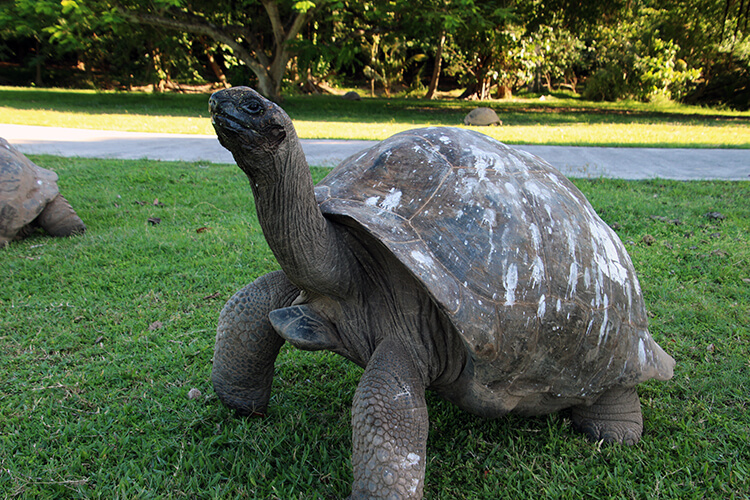 The Galapagos is first, then Aldabra itself. Though Aldabra is extremely protected and only a few researchers and scientists are allowed to visit each year; the public cannot. We just wrote all about Fregate, so check it out! Whoa! I am loving Seychelles from these pictures. What a wonderful place to holiday. So perfect for kids too. The giant tortoise amazes me. Honestly, I love the Maldives but I don’t think it would be too interesting for kids. It’s really about relaxation and the beach there. But Seychelles is totally different and it is great for a family holiday. We saw a lot of families there, particularly on Mahé. Great tips about things to do in the Seychelles. I would love to visit it and go diving, the helicopter tour and also the walk to the tea tavern. I would also love to meet this giant, adorable turtle. I’ve been looking to visit Seychelles and the timing of your post couldn’t be any better! There is so much to do there besides lying on the beach! 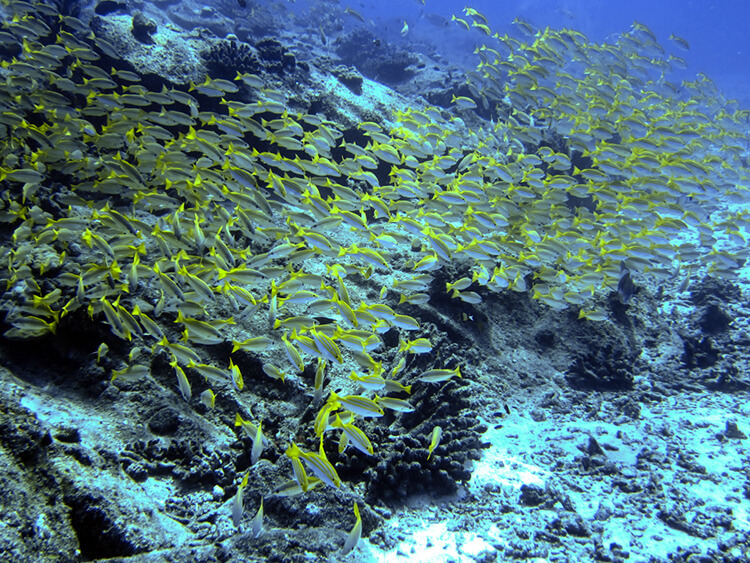 I’d love to go on a dive trip in the Indian Ocean as the marine life is so abundant there! And the helicopter flight is a must-do! I m an diver and I would love to go to the Seychelles to dive. Those underwater photos sold it for me. You are lucky to have had this experience. I bet seeing the island from the helicopter must have been really special too. Wonderful adventure. I need to learn more about the Seychelles and definitely the diving. A dear friend relocated to a small village there. I need to get there before she heads back to the states! 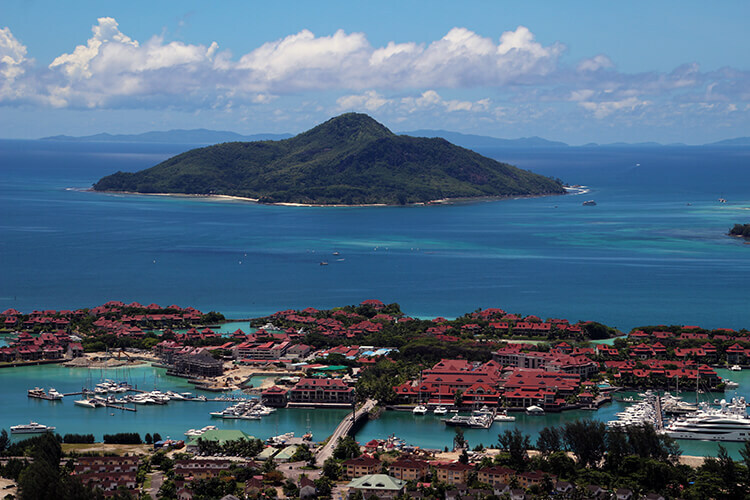 Looks like aside from enjoying the sand , sun and beach in Seychelles you can enjoy a short trip in the town area. I love how colorful the town itself. It seems there’re lot of interesting place to explore and adventures to be done in this place. Yup! I might have been guilty of lumping the Seychelles and the Maldives together in the “beach, beach, and more beach” category of travel destinations. So this post was a real eye-opener. I had to check where *exactly* the Seychelles are but now I’m plotting an excursion there… Is it very expensive? Or is staying the Mahé actually more affordable than I’d suspect? I don’t dive but thanks for the under water spectacle. But I love that HIndu temple…so colorful and intricate. I’m not much of a beach person. Don’t get me wrong I can sit on the beach and drink beer all morning…or afternoon…or all day. Wait a minute,,,lol. Ok I can be on the beach all day but not every day. I love to explore and those under water pics look incredible. I have never been snorkelling let alone diving yet I’m always facinated by underwater photography. That Arul Mihu Navasakthi Vinayagar Temple is also impressive. Great post! I’d love to hike, snorkel and take the helicopter ride here. I think I would have to do the beach because they look amazing but its great to know there are other things to do. I have always wanted to see giant tortoises too! I always knew Seychelles is amazing but never thought it had that much to do! Great! By the way, get in that helicopter and make that aerial shots has definitely to be in this list!!! Is there a such thing as doing the Seychelles on a budget? Of course. Seychelles has quite a lot of guest houses that you can book and they are inexpensive. With a guest house, you could also purchase food at a grocery store or in the market in Victoria and then cook meals in to save money. There are also buses to get around the Mahé on public transportation if a car rental is out of your budget. We’re not a budget travel website, so we just don’t focus on budget aspects. But take a look at https://www.booking.com/?aid=1143113 to see the variety of guest houses available.